Do you love changing your hair colour? Do you currently colour your natural hair or wear hair extensions/weaves/wigs and love colouring them a different shade of colours? 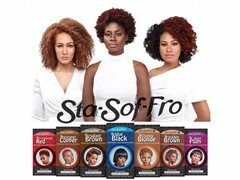 I need hair reviewers to review the latest afro hair colours aimed at the afro/ ethnic hair market. You must either have afro, ethnic or mixed hair or wear weaves/wigs or hair extension (in case you do not want to colour your own hair we are happy for you to colour your hair extensions). Minimum followers 200 plus with good engagement and your profile must be public. You will be sent Hair colours of your choice either as a one-off or on a regular basis if you love colouring your hair regularly. You would need to send us before and after pictures or Instagram videos of the hair colouring process. We are looking for people from an ethnic background with either natural, mixed or afro hair or who loves wearing hair extensions and enjoy changing the colour of their hair. Preferably from the UK, but we are open to reviewers worldwide.